Cannes is the second city of business tourism in France. Thanks to the Palais des Festivals et des Congrès, to the skills of its teams, its services and its leading-edge equipment, Cannes strengthens its attractiveness and offers global visibility which many are envious. It is an excellent position. In a competitive marketplace where the stakes are not only local, but also international, the Palais des Festivals must be different by relying on a qualified policy and sustainable development. A proactive approach already rewarded, the Palais became in 2009 the first European center triple certified. Since then the Palais made a new commitment which is the renewal of its quadruple ISO certification, they are ISO 9001 - ISO 14001 - OHS18001 and ISO 26000. Today, the choice of Cannes and its main event structure also becomes an eco-responsible act for all the decision makers. • Corporate Social Responsibility (respect of human rights, child protection, prevention of corruption, equal opportunity, transparency of practices, societal commitments at the local level). • Environment (sorting of waste, pollution control of wastewater, reduction of CO2 emissions, control of water consumption, electricity and paper). This commitment for sustainable development (Corporate Responsibility - Quality - Safety - Health - Environment) includes local and international stakes, but also human. Strengthen our image while improving our competitiveness is valuable only with the eco-citizen development of our company, an approach which is done in osmosis with the involvement and the total mobilization and the enhancement of our personnel. 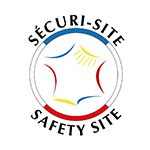 Our company has developed a culture of the quality of service which is supported not only on the establishment of a software Enterprise Resource Planning (ERP) dedicated to the management of events, but also on the permanent commitment of employees, a respect for the environment by the organization of the sorting of waste and on an axis health-safety at work through the many training courses. 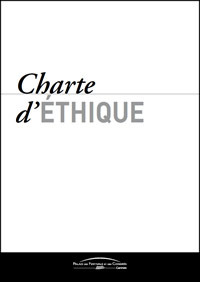 With 7 values, Ethics, Respect, Cohesion, Professionalism, Creativity, Performance and Ambition which are the foundation of the culture of our company, the Palais des Festivals et des Congrès in Cannes, in order to formalize its commitment and to affirm a continuous improvement of its performance, has decided to engage since 2008 a certification proces based on international standards that are the standards ISO 9001 (Quality), ISO 14001 (Environment), OHSAS 18001 ( Health/Security ), ISO 26000 (Corporate Social Responsibility) and by the signing of the Ethics Chart on June 16, 2008. The Palais des Festivals et des Congrès obtained the renewal of its triple certification to ISO standards 9001, 14,001 and 18,001, in November 2012. 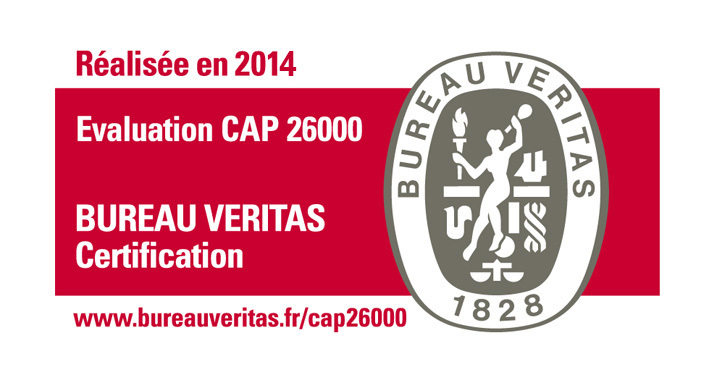 The audit control of October 2014, attests to the good performance of these three certifications. In addition, the SEMEC has been received to the ISO 26 000, corresponding to the Corporate Social Responsibility of the Company, and has thus reached a new threshold of excellence. The policy of environmental management is in compliance with the standards and the objectives defined by the General Manager’s Office. - Bringing our employees closer together. - Increasing our social and solidarity actions.